Why should a woman be shamed for being on her period? I’ve been watching a recent debate unfold: students at a local university in Pakistan stuck sanitary napkins on the university walls with poignant quotes. Maybe the men don’t get the whole psyche that’s inbuilt women from the age their periods start. The society has some sort of a state of emergency when it comes to women’s periods. 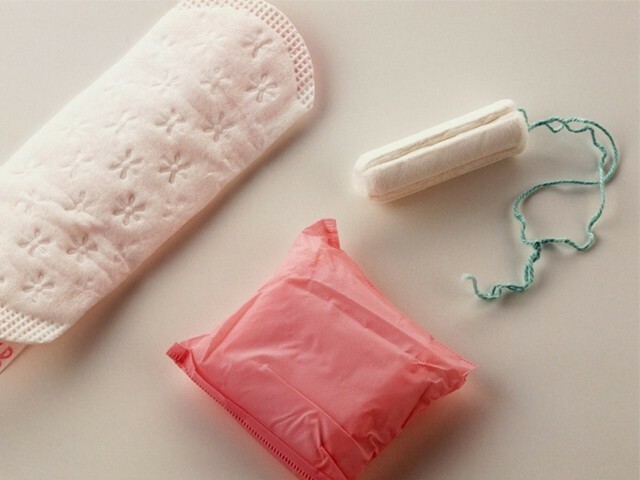 Women are told that periods are ‘dirty’ and ‘not a pious state of being’. So, in case someone finds out that you’re on your period: cue horror. Whatever will they think of you? Whatever will they say? “I think I’ve got food poisoning” etc etc. Telling someone that you’re on your period is a taboo, a sin, a problem, a social evil. I wish for someone to inform the masses that, according to psychologists, pre/post menstrual syndrome can bring about many symptoms, such as depression, bloating and nausea. Therefore it’s in the person’s, as well as the people around them, best interest to be informed of the accompanying symptoms. This campaign met with a lot of hate. And many of the critics said that this is an ‘elitya’ problem. They elaborate that the ‘real problems’ that plague women are acid attacks and honour killing, and that this should be disregarded for being elitist. But just consider this for a second; the people behind this campaign never said they’re on a mission to solve every problem that has ever been encountered by any woman. Nor did they make any claims about their campaign being representational for all women. These young students that belong to a relatively well-to-do university, only wanted to create awareness for problems that they themselves face on a day-to-day basis. The fact remains, that there are serious diseases that are associated to menstruation, such as dysmenorrhea, polycystic ovary syndrome and migraines. However, women will shy away from addressing such problems because the topic is too ‘embarrassing’. She never has the courage to ask for help or seek treatment. Critics say these are problems of the privileged. And to some extent I agree. Many women in Pakistan who celebrate the word ‘feminism’ have pretty much exploited the term to their own benefit. For example, there are some ‘feminists’ who have acquired an expensive education, handed money to spend as they please, and various other luxuries. This is all from living off of their fathers and, soon after, a suitable husband. They become comfortable begum sahibas who hire underage maids to cater to their children, and hire drivers to take them to kitty parties and lawn exhibitions. When someone like that chants ‘feminism’, it is indeed difficult to take them seriously. Yet the fact remains that the menstrual cycle is something every woman goes through. Whether she’s a queen or a princess, a health worker (who’s on her feet pretty much 18 hours a day) or a university student who has to hide her physical discomfort during an exam or a big presentation. And they all have to go about their lives pretending there’s nothing going on with their ovaries. Maybe it’s about time they want to talk about it? Maybe all women want to talk about it? Maybe they don’t want to be considered dirty just because their bodies are undergoing something natural. It’s nothing to be ashamed of. As human beings, do we consider ourselves dirty for our entire lives just because we poop or pass urine? Then why does a woman have to pretend to be an undercover agent just because she’s on her period? These are young kids who want to bring everyone’s attention to an important social taboo and I find nothing wrong with that. These are young kids who will be tomorrow’s parents – and they won’t, I hope, harangue and harass their kids about the same taboos the way our parents have. When the elite and the privileged want attention, they get it. And sure, they don’t ‘get’ what ‘real’ pain is. Yet to discard their effort completely, merely on this premise can be dangerous; the woman living in the farm, with a family to feed, working under the harshest possible conditions, who can’t even find the time, the energy and the resources to find a decent school for her kids – do we expect her to start an awareness campaign on the taboos related to the menstrual cycle? Oh no. That’d be blasphemy. The question is, if a woman wants to sit at a dhaba and drink tea, what’s your problem? If a woman wants to run a dhaba in the village, what’s your problem? If a woman wants to prove that the menstrual cycle is a normal occurrence and the reason behind mankind thriving and avoiding extinction – what’s your problem? Why should a woman be ashamed of being on her period? Is it not a regular biological happening? Shouldn’t our daughters and sisters know about menstrual cycles and everything about it from a very young age? And what kind of ‘values’ does an awareness campaign threaten, anyway? The values that allow women to be killed in the name of honour? Where mullahs come out on streets against a bill that protects women? Too long have we associated women with honour in a way that has harmed no one else but women. Values and culture aside, there are people who want the hollow slogans regarding ‘honour’ to disappear. They question these codes of morality that hypocritically only apply to women. They are the people who want women to stop being the victims of a society’s so-called honour. These people are brave people indeed. If this oppression represents the true values of our society, then these values need to be eliminated – only for the positive and progressive evolution of society itself. Every person who talks for women and their rights is respectable. And every person who believes that all sexes are equal and wants to advocate such equality, should be given plenty of space to speak, to campaign. This post originally appeared here in Urdu. Does Shaan Shahid think he can bully people into saying nice things about Arth 2? Facebook is not the parent, you are! Yes, periods are nothing to be ashamed of, but not something to be made advertisement of. Okay periods are natural, so is passing urine and poop as you say. Maybe start advertising your excretion to make a point that this is natural? There are some things that ate best kept discreet and private, nobody feels comfortable when you make a public display of it. Why don’t we address other urgent women health issues like breast cancer awareness? Our society should understand that if a women is on thr periods, it’s not “sick” or a “problem”. but it is the solution to other future problems!!! Noone should be ashamed of that but that doesn’t mean you start sowing it off on the roads. I don’t understand why people keep making this equivalence with urine and faeces. First, it is blood. The kind that everyone has inside of them. Do people get hysterical if they see blood from any other body part? Second, no one is going around spray-painting period blood everywhere.